Jaakko Kahilaniemi: 100 Hectares of Understanding. Installation view from the festival Unseen. The Circulation(s) festival, which has established itself as one of the must-visit photo events in Paris, is back again this year at Centquatre-Paris from April 20th through June 30th 2019. 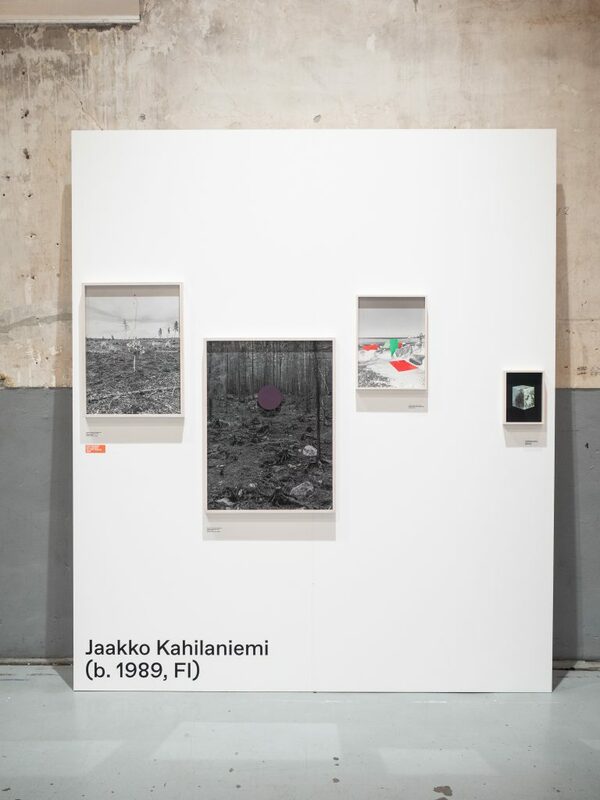 Institut finlandais is happy to collaborate with the 2019 edition of the festival, which will showcase the work of Finnish photographer Jaakko Kahilaniemi. The Circulation(s) festival is dedicated to the European photographic diversity and aims at discovering new talents. Since its creation in 2011, Circulation(s) has exhibited more than 382 artists and gathered about 266 000 visitors. Both a springboard for young photographers and a laboratory of contemporary creativity, the festival occupies a specific place in the French and international photography and attracts a constantly growing audience.